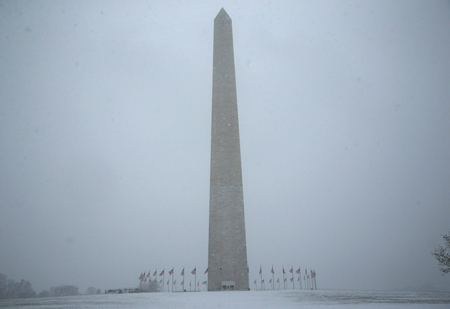 US storm Jonas: UAE flights axed - New York, Washington D.C. According to the latest available flight status from Dubai International Airport, the Emirates flight to New York EK201 scheduled to New York at 8:30am has been delayed. Among the flights that departed on time and continue to remain on schedule are EK203 to New York that departed at 2:35am, EK 239 to Boston that departed at 2:40 am, EK 221 to Dallas that departed at 2:50am and EK 227 to Seattle that departed at 3:20am. EK 215 to Los Angeles scheduled for 8:30am is on schedule. Other flights on schedule and scheduled to depart in the next hour include EK 237 to Boston scheduled at 8.40am; EK 211 to Houston scheduled to depart at 9:05am and EK 205 to New York scheduled at 9:10am. Winter storm Jonas has caused major disruption to flights in and out of the Northeastern seaboard of the United States on Saturday, January 23. The weather conditions are now forecast to improve at both New York JFK and Washington Dulles airports. Etihad Airways therefore expects its flights to and from both cities to operate as scheduled from January 24, however, unexpected delays may still occur. Guests booked to travel on Etihad Airways from Abu Dhabi to and from New York and Washington D.C. can call the Etihad Airways Contact Centre on +971 (0) 2599 0000, or toll free on +1877 690 0767 if calling from the United States, or can visit www.etihad.com for more information. Emirates has announced its flights to the US which have been affected. Apart from this UA977 to Washington D.C. is also cancelled, however, flights to Dallas and Chicago are on schedule. Winter storm Jonas is expected to cause significant disruption to flights in and out of the Northeastern seaboard of the United States over the weekend of January 23-25. 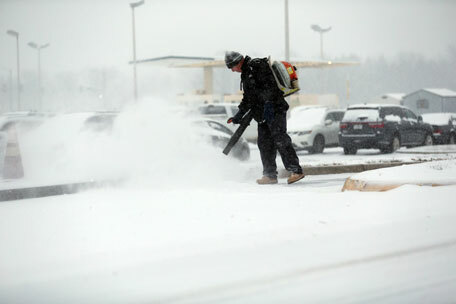 The weather conditions in Northeastern USA have deteriorated. Etihad Airways has been forced to cancel the following flights to and from Abu Dhabi and New York JFK, and as previously advised, to and from Abu Dhabi and Washington D.C.
EY131 24 JANUARY ABU DHABI - WASHINGTON D.C.
EY131 25 JANUARY ABU DHABI - WASHINGTON D.C.
Etihad Airways has revised its booking procedures to allow guests to alter their travel plans during this period. Guests booked to travel on these flights are advised to call the Etihad Airways Contact Centre on +971 (0) 2599 0000 or visit www.etihad.com for more information.